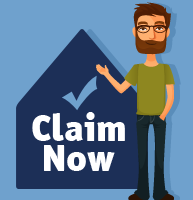 If your landlord failed to register your rental deposit and/or provide you with the required certificate of proof within 30 days of the deposit being paid, you are entitled to make a claim for compensation from your landlord. This compensation payment for tenancy deposit claims is compulsory and can be between one and three times the amount of the deposit you originally paid. If you think your landlord put your deposit at risk by failing to protect it correctly, follow the steps below to find out if you can make a claim. Provide us with your contact details and upload a copy of your lease(s). If you don't have a scanner, you could take photos of each page of your lease and upload them in one go from your mobile phone. We check the contents of your lease and then write to you outlining our terms and conditions. We will also send a 'gentle' letter to your landlord asking them to provide us with a copy the certificate that they should have obtained if they protected your deposit correctly. If your deposit was protected correctly and your landlord has been able to provide us with a copy of the appropriate certificate, your claim would come to an end. We will be in touch to let you know that your deposit was protected correctly and also provide you with a copy of the certificate. There will be no charges to pay and your file will be closed. If your landlord fails to respond to our request, we will send a formal claim letter requesting that they pay the statutory amount equal to three times the amount of the deposit. If your landlord fails to pay, we may then consider taking legal action against them. You will not need to become involved in this process and will never be called to give evidence in court. We will deal with all of this on your behalf. We work on a no-win, no-fee basis and guarantee that there is no financial risk to you. You only pay for our tenancy deposit claims service if we are successful in obtaining compensation your behalf. We charge 20% + VAT of the compensation obtained, plus the cost of the insurance premium (£150).. If we are unable to obtain any compensation for you, we won't charge you a penny. 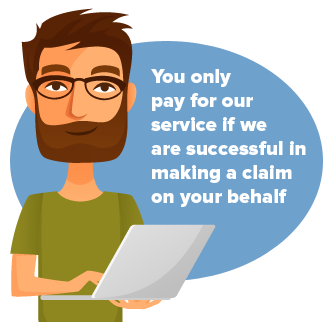 All the claims we make are insured, so even if we fail to obtain any compensation for you, all costs will be covered by our insurance. In case you're wondering how the process of making tenancy deposit claims works from a legal perspective, you can read the full description below. However, don't worry if you're having trouble understanding some of the legal jargon or simply don't have time to read it all as our legal experts will take care of everything on your behalf and are here to answer any questions that you might have. Read more about the regulations that govern tenancy deposit claims here.